Leah Marie Remini, also known as Leah Remini, is an American actress, and she has been serving the entertainment industry since 1988. Apart from acting, she is also a producer and author. The anti-Scientology activist is best known as the host of Leah Remini: Scientology and the Aftermath. As an actress, she is best known for her portrayal of Carrie Heffernan on the TV show The King of Queens. As of 2018, she is working on show Kevin Can Wait as Vanessa Cellucci, and she is also all set to appear in upcoming film Second Act, also starring Jennifer Lopez, Vanessa Hudgens, and Milo Ventimiglia. Here, we are going to share some information about the actress' career in TV and films, and her awards. Leah has an estimated net worth of $20 million. She made her debut as an actress back in 1988 after she appeared in an uncredited role in TV show Head of the Class. The following year, she appeared in two episodes of Who's the Boss? as Charlie Briscoe followed by portraying the same character in TV series Living Dolls. She appeared in 12 episodes of the show making it one of her longest works. Throughout the early and mid 90's, she was very active on TV appearing as numerous characters in shows like The Hogan Family, The Man in the Family, Cheers, Blossom and many others. Moreover, throughout these years, she also received the opportunity to work with some reputed actors like Halle Berry, Jason Bateman, Jennifer Aniston, Courteney Cox, and many others. In the time interval, she also worked as a voice actress providing her voice to Sagan Cruz in 22 episodes of Phantom 2040. It was not until 1997, she was able to finally move on to the big screen. In the year, she appeared in a minor role in film Critics and Other Freaks. In the following year, she again appeared as Angie in film Follow Your Heart featuring Ted McGinley, Brian Keith, and others. Despite the debut and a few appearances in films, Leah mainly had her heart in acting on TV shows. The actress gained the majority of her fame through TV and also made her breakthrough through the platform. Moreover, she also appeared in some popular TV shows like Dancing with the Stars. She also was seen on The Talk show where she served as a host for 135 episodes, and in Family Tools, she portrayed the lead character, Terry Baumgardner. In the recent years, she is working as the host on the documentary TV show Leah Remini: Scientology, and the Aftermath. Since 2016, she has been appearing on the show and sharing the consequences of Scientology which she was a part of back in the days. The show is considered as one of her greatest works as she has not only accumulated millions of viewers, but it is also an award-winning show. Apart from the show, in 2017, she also voiced character Ms. Baxter in an episode of Milo Murphy's Law and has been appearing as Vanessa in TV show Kevin Can Wait since 2017. Moving on to films, in 2017, she appeared in three films Mad Families starring, Charlie Sheen and Charlotte McKinney; The Clapper starring, Amanda Seyfried and Adam Levine; and Handsome: A Netflix Mystery Movie starring Jeff Garlin and Natasha Lyonne. In 2018, fans will also be able to see her on the big screen as she will be portraying the role of Joan in the upcoming film Second Act. The movie has been very much on hype because A-listers like J Lo are starring in it. Leah, as an actress, has only won an award to date. In 2017, she won a PGA Producer of the Year Award in Non-Fiction Television category. 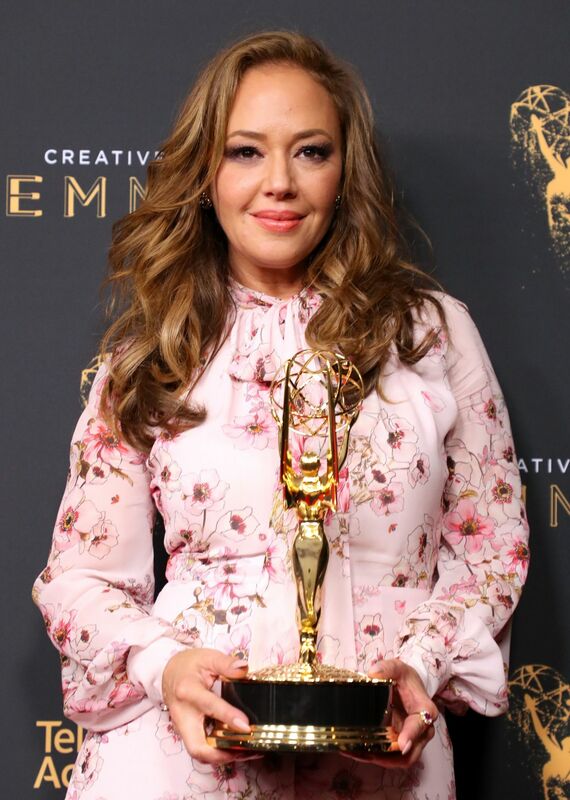 Likewise, she is a big part of Emmy Award-winning show Leah Remini: Scientology and the Aftermath, which we have already mentioned above. It is considered as one of her most notable works.